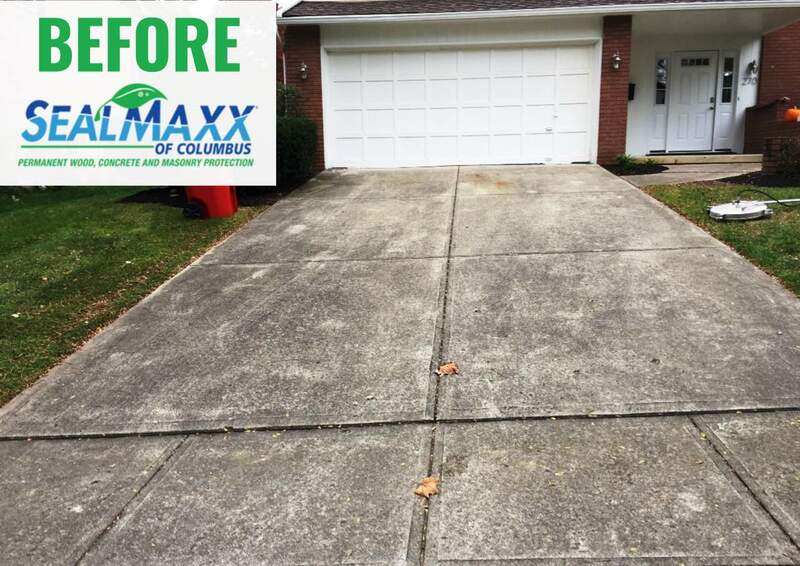 The concrete authorities in North America have conducted extensive research to understand the factors that contribute to ugly, damaged concrete. They found that in almost all the cases, water was the culprit. 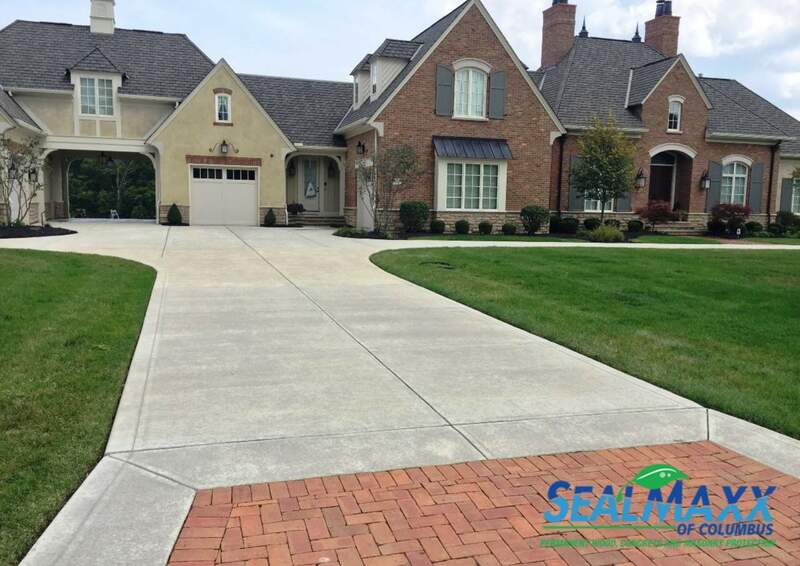 SealMaxx of Columbus is your solution. 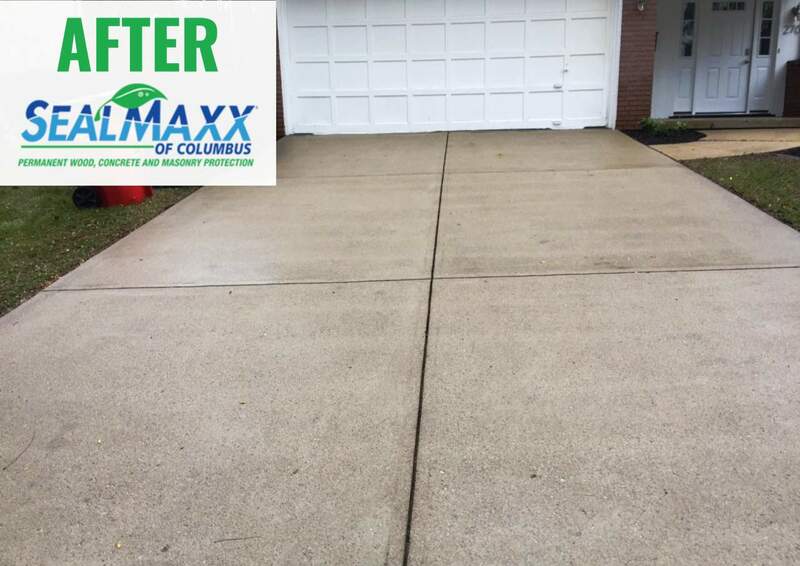 Concrete has tiny pores in it and when water or moisture enters the concrete via these pores, they cause havok! Water will freeze and thaw, expand and contract, grow bacteria, look ugly and even ooze out salts. Using a Concrete Sealer can strenghten and protect your Concrete Floors from water damage and ugly stains. 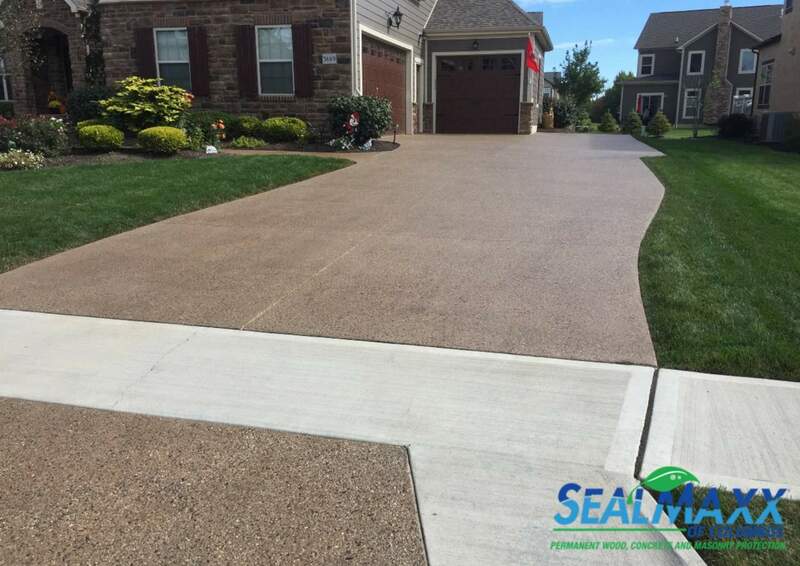 Sealmaxx uses a Siliconate penetrating sealer. 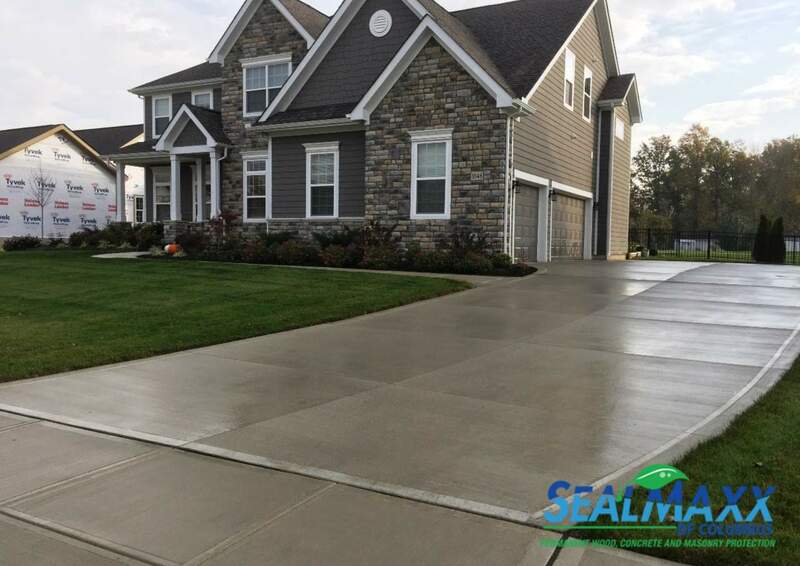 This is the best option for broom finish concrete like driveways and smooth finish concrete like garages. 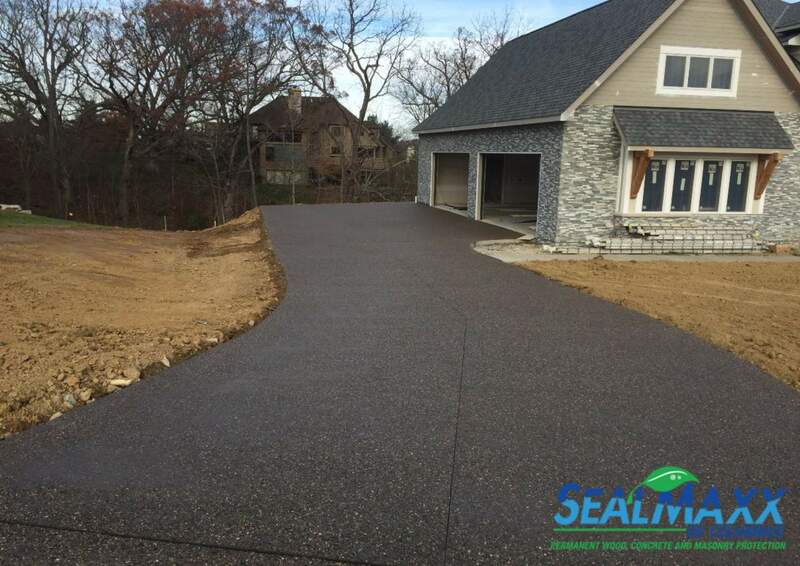 The Siliconate sealer is the only penetrating sealer that forms a cross linking resin under the surface to help keep more water out.